Farir adults are lithe and beautiful, though they are merely the size of normal leaves. They flit from tree to tree with a grace that cannot be mimicked by any creature with a true physical body. Every spring, when the forest begins to grow again, and trees cease hibernating, the adult farir make their way to the heart of the forest. A large gathering is held, and an elaborate ceremony occurs, honoring the forest that gave these creatures life. This secret place is where new farir are born each year. If something interrupts this delicate ceremony, no new farir come into being. This is a sign that the forest is becoming ill and needs to be nurtured. It is the duty of adult farir to maintain the balance of the forest. Farir possess healing magic, and this is this power that provides the forest with the care it needs to continue growing. Magi strong in earth magic often have farir as companions, and work with them to assist the flow of nature. The gardens around The Keep, used for providing food to magi and their companions, are constantly flourishing due to these creatures. The farir are a race of forest inhabitants, not often seen by magi. These creatures are the forest's manifestation of health and life, and exist only so long as the forest that created them still lives. 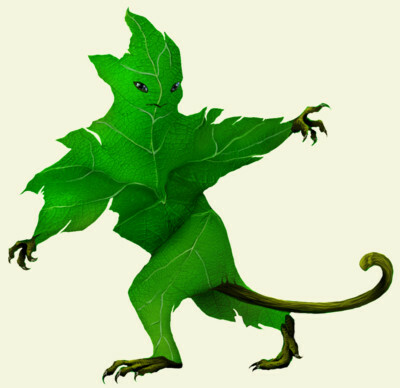 Farir are often leaf-like in appearance and they change according to their environment. The seasons also bring a change about them, for when the forest is in full bloom, so too are these creatures. Farir are commonly mistaken for leaves, and they change colors just as the woods do. When autumn comes, farir are indistinguishable from real leaves due to their brilliant colors. In winter, they become stick-like, shades of what they were, and appear to be skeletons of leaves. If their forest is unhealthy, the farir begin to disappear, as they are spiritual creatures and only live so long as their forest does. Coming across one of these creatures depends on the magi, because only those with good intentions towards nature may see them. The magi believe that glimpsing one of the farir is a good omen, and will bring fair fortune.